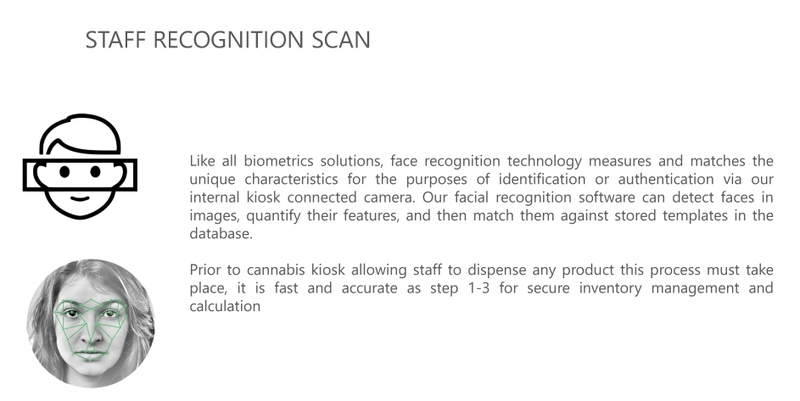 The Propods Inc. dispensing kiosks have been fully designed with wireless inventory management, facial recognition scanner, fingerprint reader and staff ID card swipe. 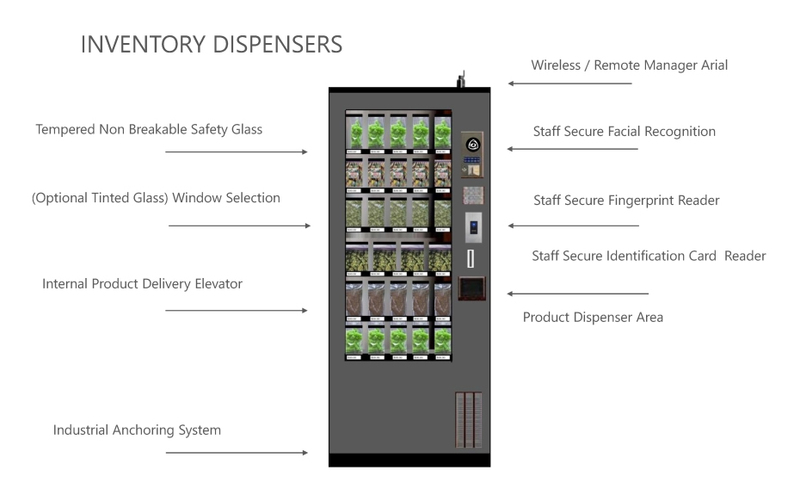 All of these features have been installed to insure every time, all the time, accurate dispensing for the reduction of any shrinkage. 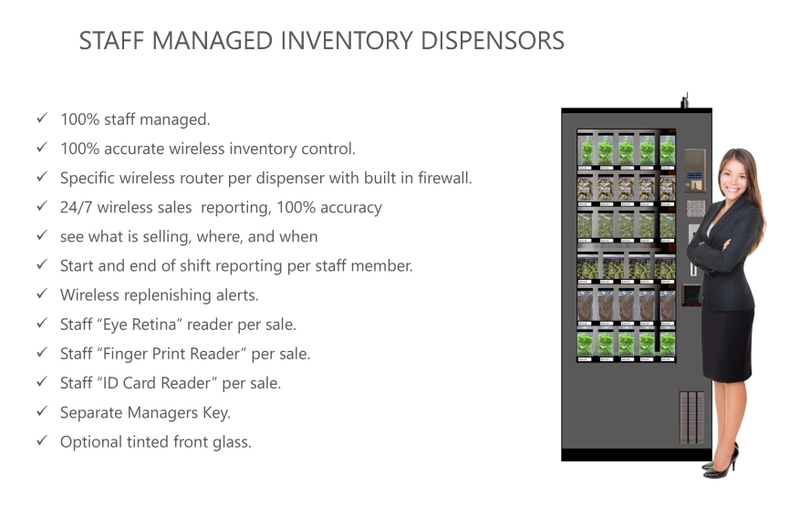 With the wireless inventory management, we will train management how to wirelessly and remotely go to any dispensing kiosk for a full inventory calculation. 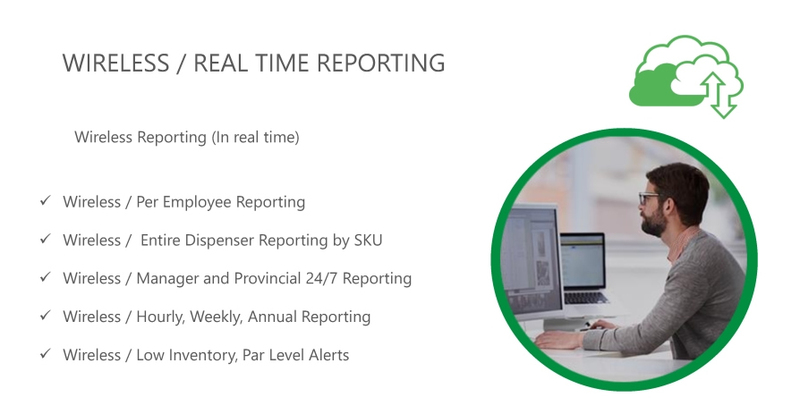 You will be able to see what is selling and when, set par levels with wireless notification, print hourly, daily, weekly, monthly, quarterly and annual reports on all sales or dispensing. 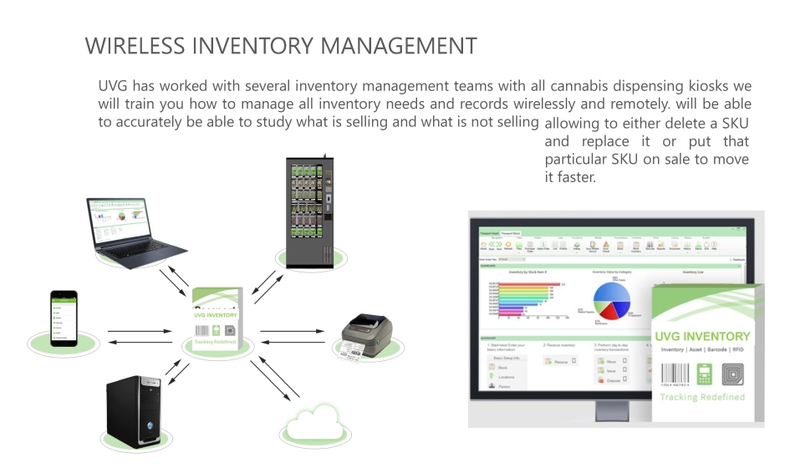 Through this inventory management will be able to accurately be able to study what is selling and what is not selling allowing to either delete a SKU and replace it or put that particular SKU on sale to move it faster. 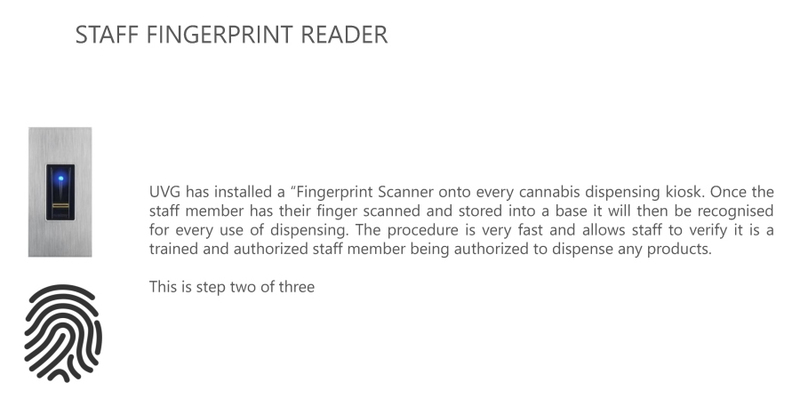 All Cannabis dispensers have a non-breakable glass film and are securely bolted to the floor of the POD or the “Store within a Store”.